Here’s another reason to steer clear of packaged foods and plastic bottles: a new study suggests that BPA could increase the risk of obesity in young girls. The chemical could alter children’s metabolism, making it more challenging to lose weight. Researchers publishing in the journal PLoS ONE found that girls between the ages of nine and 12 who had high levels of BPA were twice as likely to be obese as girls with lower BPA levels. Bisphenol-A (BPA) is a chemical commonly found in plastic packaging, plastic bottles, and metal containers. Earlier animal and human studies have suggested that BPA disrupts the body’s energy storage and energy metabolism, according to Dr. De-Kun Li, co-author of the study who commented for HealthDay News. Scientists have wondered whether the chemical was partially responsible for the childhood obesity epidemic. Dr. Li and his colleagues took urine samples from1,326 children attending school in Shanghai, China. They analyzed BPA levels in the children, and adjusted for common risk factors of obesity like diet, mental health, exercise levels, and family history. For girls aged 9-12 years old, obesity risk increased in conjunction with BPA levels. Those with high BPA levels (2 micrograms per liter or more) had double the risk of obesity compared to girls with lower levels of the chemical. 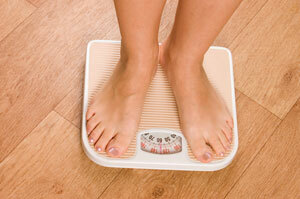 Girls with higher levels ( 10 micrograms per liter) were five times more likely to be obese. But this link was not found in boys or girls over the age of 12. Dr. Li suggested this could be because pubescent girls are more susceptible to the chemical. Some scientists argue that it’s possible that obese children secrete more BPA because the chemical is easily absorbed into fatty tissue, suggested John Meeker, a professor of health science at University of Michigan who commented for USA Today. Dr. Li dismissed that claim, since if that were true, then all obese children would have higher BPA levels, instead of just girls in that specific age group. While decreasing BPA exposure may help, exercise and nutrition are likely still the most effective way to prevent childhood obesity. A doctor or chiropractor can provide pediatric wellness care to improve the health and well being of your child. Li DK, et al. Urine bisphenol-A level in relaiton to obesity and overweight in school-age children. PLoS ONE 2013; 8(6): e65399. doi:10.1371/journal.pone.0065399.